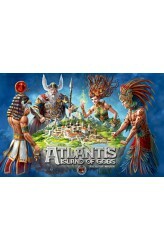 Before the civilizations that we know of there was a great island, called by contemporary scientists Atlantis. It was inhabited by a civilization that had extraordinary cultural and technological achievements, especially in architecture and art. All that wouldn’t have been possible if they hadn’t been blessed by the gods, who the Atlants honored by building glorious monuments for them. And the gods didn’t mind that they weren’t the only ones being cherished by the Atlants. Alas, the plan of the gods was not perfect. Things went awry because of the younger generation of the gods. Specifically it was Ares, the son of Zeus and Hera, whose actions resulted in the disaster. His wickedness was endless, and the cruelty of his followers and the destruction they cau.. The first expedition to Mars ended with a heroic fight by the astronauts for survival and initiated the first mission aimed at colonizing the planet, which was financed by four corporations. 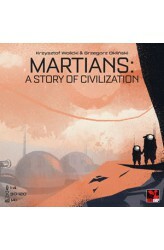 Now in Martians: A Story of Civilization the human colony on Mars, managed by leaders of the corporations, has to explore the planet in search of necessary resources, build new constructions, and develop technologies adjusted to planetary conditions. Such effort is necessary not only to survive, but also to create better living standards for future generations raised by colonists. https://youtu.be/3-w1CKOgBi0 ..